Swollen lips can be painful and ugly to deal with. As skin tissues present in our lips are very delicate, they get hurt very quickly and swollen up. Various reasons for swollen lips include insect bites, traumas, allergies, infection, dehydration and poor quality lip care products. There are various methods of treating swollen lips but it is important to find out the exact reason before starting any treatment. If you have swollen lips due to allergies, injury or any chronic medical condition then consult a doctor. In other cases, you can try effective and safe home remedies for treating swollen lips. Here are the best 17 methods to reduce the swelling of lips. You can choose any one among the methods and try it regularly to get relief. Applying cold or hot compress is the best method to relief from swollen lips. It also helps to reduce the swelling caused due to lip piercing, oral herpes or cuts. For trying cold compress, wrap some ice cubes in a towel. For trying hot compress, soak a wash cloth in warm water and wring out the excess. Apply any compress on the swollen lip for 5 minutes. Remove it for a minute and repeat the application. Continue this process for several times. Follow this method regularly to reduce the swelling and pain. Note: Don’t apply ice cubes on the swollen lip directly as it can cause frost bite. Avoid using this process, if you have cuts in the skin. The tannins present in black tea have amazing astringent properties which help in reducing inflammation of the soft tissues present in the lips. Place a black tea bag in warm water for 10 minutes. Remove it and wring out the excess. Let it cool down and place it on the swollen lips. Remove it after 10 minutes and rinse with water. Note: You can use green tea bags or chamomile tea bags instead of black tea bags. The astringent properties of witch hazel work wonders in reducing the swelling and pain. It is very helpful in curing swollen lips caused by cuts. Combine 1 tablespoon witch hazel and 1 1/2 tablespoon of salt. Using a cotton ball, apply the mixture on the affected lips. Repeat the process regularly till you notice the improvement. Tea tree oil is beneficial in treating swollen lips caused by cuts and infections. It contains anti-inflammatory, antibacterial and antiseptic properties. Dilute few drops of tea tree oil in enough amounts of coconut oil or olive oil. Apply the mixture on the affected lip. Alternatively: You can use aloe vera gel instead of coconut oil or olive oil. Note: Avoid applying tea tree oil in undiluted form. 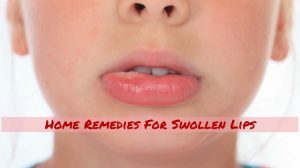 Avoid using tea tree oil for swollen lips in children. If you have a swollen lip due to cuts then this process is the most beneficial in treating it. Salt contains antibacterial and antiseptic properties which are helpful in killing the bacteria that many cause any infection. Dilute 1 tablespoon of salt in a cup of slightly warm water. Using a cotton ball, dab it gently on the cut. Repeat the process 1 or 2 times in a day. Note: You many initially observe slight burning sensation but don’t worry, it will reduce in sometime. This process works wonders in treating the swollen lip caused by an allergic reaction, fever blister or insect bite. It provides relief from pain and inflammation. Combine 3 tablespoons of baking soda and 1 teaspoon of water. Leave it on for few minutes and rinse off with cold water. Repeat the process few times in a day till the inflammation reduces completely. Turmeric contains antiseptic and healing properties which are very beneficial in treating swollen lips. By following this process, you can make an herbal ointment. Combine 1 teaspoon fuller’s earth, a pinch of turmeric and enough amounts of cold water to make a paste. Leave it to dry completely and clean the lips with some lukewarm water. Honey contains antibacterial and natural healing properties which are effective in treating a swollen lip. It locks moisture in the skin cells, reduce swelling and prevent infection. You can use this process to treat swelling caused by dry, chapped, sores and blisters. Using a cotton ball, apply honey on the affected area. For added benefits: Add a teaspoon of honey into a cup of lukewarm water and drink it. The anti-inflammatory properties of aloe vera reduce the swelling and burning sensation. This process is effective in treating swollen lip caused by insect or mosquito bites. Take a tablespoon of freshly extracted aloe vera gel. Using your fingers, apply aloe vera gel on the affected lip. Massage gently for few minutes until the gel gets absorbed by the skin. Hydrogen peroxide prevents the infection from thriving in the affected lip. It also reduces the swelling and pain. Combine hydrogen peroxide and water in 1:1 ratio. Note: This solution may foam up as the peroxide reacts with the natural bacteria present in the mouth so don’t worry. Coconut oil contains antibacterial property which deals with the bacteria causing infection. It absorbs all the impurities from the skin pores. It keeps the skin nourished and supple. This process is effective in treating swelling caused by sores, blisters and chapped lips. Apply few drops of coconut oil on the affected lip. Gently massage for few minutes. This helps the skin absorb the oil. Leave it on for couple of hours to dry. Epsom salt contains anti-inflammatory properties which help to soothe the swelling and pain. It also helps to heal the cuts and bruises present on the lip. Add 1 tablespoon of Epsom salt into a cup of warm water. Soak a washcloth in the solution. Place it on the swollen lips for 15 minutes and remove it. Repeat the process several times in day. Apple cider vinegar contains anti-inflammatory, antiseptic and antibacterial properties. It also provides relief from swelling caused by edema. Combine 1 teaspoon apple cider vinegar and 1 teaspoon water. Leave it on for couple of minutes. With cooling properties and starch content, potato is considered one of the best natural ways to treat swollen lips. Place the potato slice on the affected lip. Alternative: You can blend a potato and apply the paste on the affected lip. Combine few drops of peppermint oil or lavender oil into coconut oil. Note: You can use sunflower oil or pumpkin oil on the lips to treat them. Though its sounds weird, this process also helps to reduce the inflammation, pain and irritation. Combine apple pulp and some butter to make a thick paste. Oranges are rich in vitamin C which helps to repair the tissues of the lip and reduce inflammation. For a faster recovery from the swollen lips, include oranges or other vitamin c rich fruits in your diet. Avoid licking your lips as it can worsen the condition. Drink ginger tea and add ginger to your dishes as it helps to prevent lip infections. Dry and dehydrated lips can also lead to swollen lips. Drink plenty of water to retain moisture. Apply vitamin E oil daily before going to bed to prevent dryness and chapping. Coating your lips with lip balm or Vaseline also helps to moisturize your lips and reduce swelling. Make sure the lip balm has no artificial colors or flavors. Swollen lips can also be cured by using an antihistamine like Benadryl. This reduces the swelling and soothes the affected area. Maintaining proper hygiene and eating nutritional food also helps to prevent swollen lips. Include vitamin A and B rich foods to keep the skin problems at bay. Identify the foods that are causing swollen lips and stay away from them. You can apply arnica oil or castor oil on the affected lips to reduce the swelling of the lips. Some chemicals present in cosmetics can also cause swollen lips. So, observe the products causing swollen lips and avoid using them. 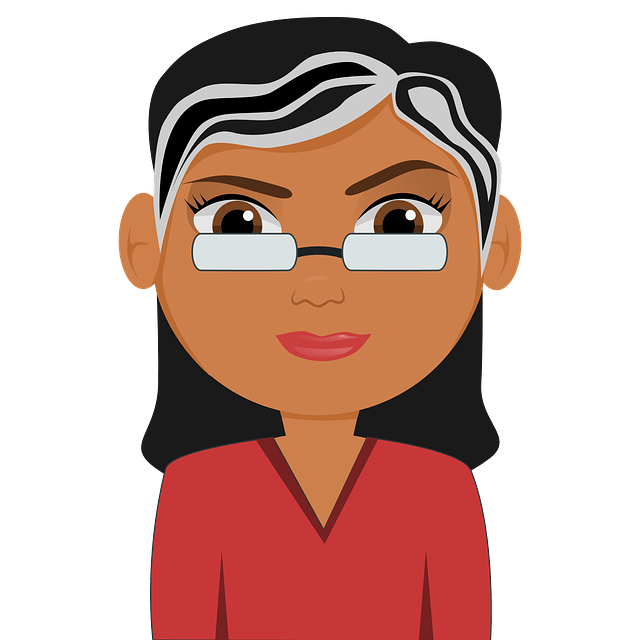 Was the information provided in this article helpful for you? Do you know any other methods that work better than the above mentioned? Share your experience, suggestions and queries in the comment section below. My lip started off yesterday morning with a white spot. Throughout the day, another white spot appeared, and then another. There were four spots by the middle of the day. This morning I woke up, my lip is swollen all the way around those spots. It just keeps getting bigger. My lymph node that is on the same side has been swollen and very tender, painful to the touch. I’m so confused and so scared as to what is causing it.